Approximately 0.736 Acres - 0.3 Ha. A fantastic village house with private gardens. This striking and unlisted detached stone and Collyweston slate property with approximately 7,392 square feet of living accommodation, a further 1,951 square feet of outbuildings and set within an enclosed plot of approximately 0.736 acres. Internal viewings are essential. 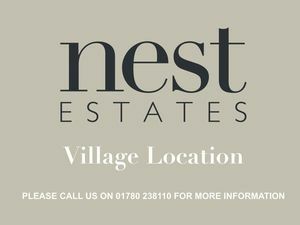 Please contact Nest Estates on 01780 238110. Substantial village house occupying an impressive private south-facing plot. Constructed of stone with elegant Ashlar stone quoins under a Collyweston roof. Ground Floor: Entrance Hall with original flagstone flooring, door to WC and separate cloaks cupboard. Sitting Room with southerly aspect, bay window incorporating French doors to the patio, distinctive Inglenook stone fireplace and door to the dual aspect Library with built in shelving and cast- iron fire surround and grate. The Drawing Room has a similar large bay window with French doors to the patio and feature fireplace. Twin aspect Music Room. An inner hall provides a further set of French doors to the patio and under stairs cupboard. From the Entrance Hall an elegant Dining Room with mullion window and exposed wooden beams. French doors lead through a glazed walk-way to a Boot Room with stone fireplace, hanging space for Tack and an entrance door to the garden. Large Breakfast Kitchen with feature stable arched windows, flagstone floor, four oven Aga, integrated appliances, fitted cupboards and island unit. Utility Room with a further WC and large larder/wine store off. Stairs lead to a spacious double aspect Study. The study can also be accessed from the coach yard. 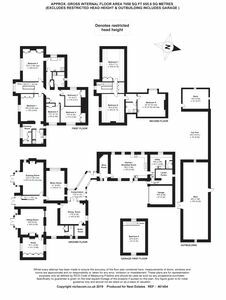 First Floor Stairs rise to the Master Bedroom with south-facing window overlooking the gardens of which is a dressing room with built in wardrobes and an Ensuite Bathroom with WC, wash basin, bidet, bath and separate shower. A Guest Suite with integrated wardrobes and an Ensuite Bathroom with WC, wash basin, bath and double shower. Bedroom 3 with fitted cupboards and exposed beam. Bedroom 4 with fitted cupboards and exposed beam. Bedroom 5 with fitted cupboards and exposed beam. Family Bathroom with WC, vanity unit, bath and shower cubicle. From the landing is an inner landing with book shelves and fitted cupboards. There is also a large airing cupboard. Second Floor Stairs rise easily to a landing with a range of cupboarding. 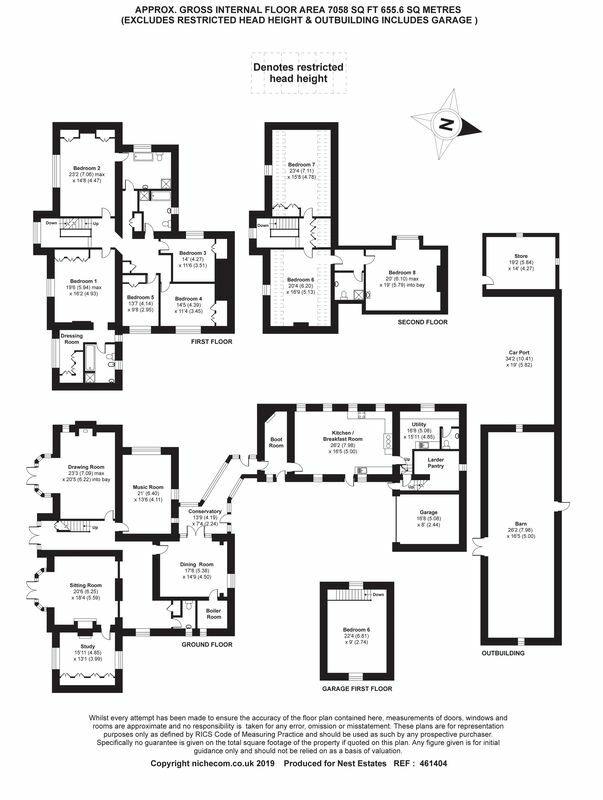 Bedroom 6 leads to an inner hall and a Shower Room with WC, wash basin and double shower. Bedroom 7 off the inner hall with a wash hand basin. Bedroom 8 with large built in cupboards. External The main entrance leads to a gravelled in-and-out driveway wrapping round the East of the house outlined by beautifully presented gardens. The former Coach House, presently used for storage, offers further opportunity for ground belonging and service. A second entrance leads to a Car Port for three vehicles and an adjoining out building, both supplied with electricity. The property benefits from a large stone Barn currently used for recreation activities but could be for conversion to a separate dwelling subject to planning permission. Doors from the Barn lead to a private orchard and through to the outdoor swimming pool, measuring approximately 7 metres by 3.5 metres. 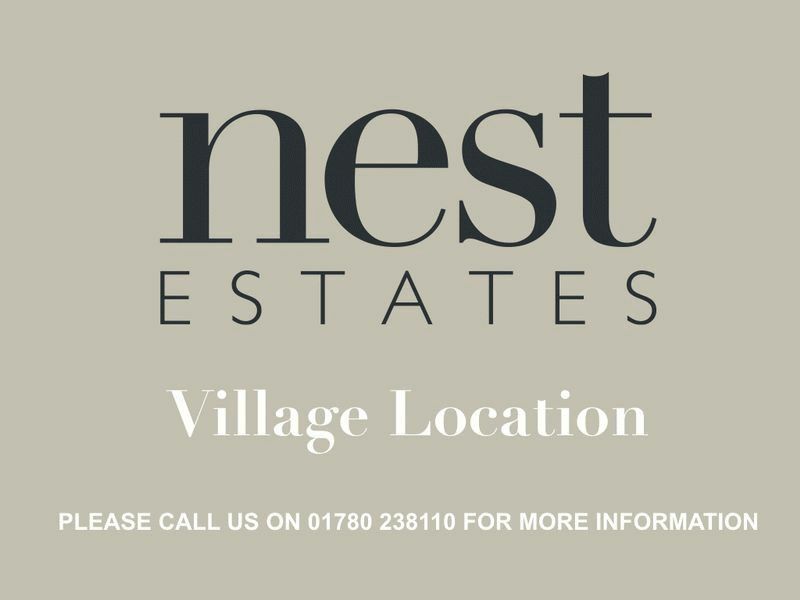 The main grounds total approximately 0.736 acres and have been meticulously maintained to include mature planted borders. The accommodation plus outbuildings total approximately 9000sq.ft.